The best part about being in a room full of educators is the stories they always have to share. And, what makes this even better? A room full of educators in a workshop on, yes, stories. 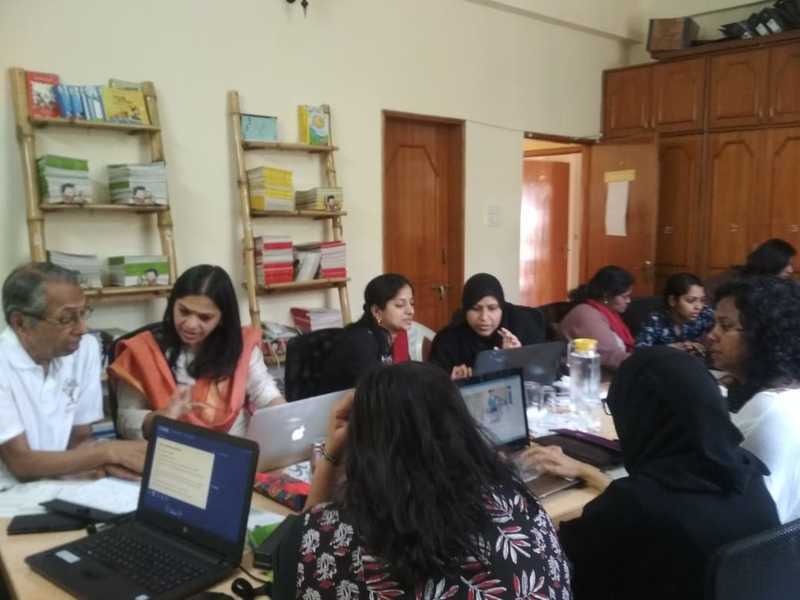 This January, we hosted the first StoryWeaver workshop of 2019 at the Pratham Books office in Bangalore - a day full of classroom stories, sharing, and smiles. Workshops are a great opportunity for us to interact with educators from across organisations who can help take the magic of stories to more children and classrooms. This workshop had participants from a range of organisations - from curriculum designers to CSR professionals to project coordinators to teachers, both young and experienced. What they all shared was their love for books, their belief in the power of stories as resources in classrooms, and an excitement to take the learnings from the workshop back to the children they work with. We had participants from Parikrma foundation (who run an end-to-end program where children receive education right from kindergarten to college), Orchids school, Naasih public school, BrickWork Foundation, and Youth4seva (who support schools, destitute shelters, government hospitals and other organizations in the social sector through their volunteers). 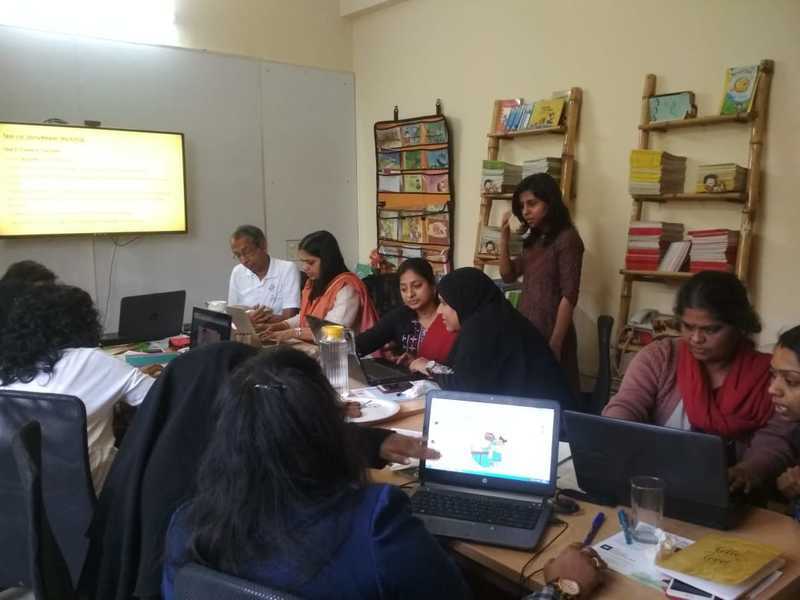 As participants joined us at the brightly coloured Pratham Books conference room, the venue of our workshop, I could observe how keenly they were looking to absorb everything they could to take back to the classroom. As we started the session with the story No Smiles Today, I couldn’t stop smiling as I saw the participants enthusiastically participate in the discussions. As people who often have to don multiple hats in the classroom - teacher, mentor, guide, parent, confidante, I couldn’t help but notice how deeply they were immersed in their new roles for the day - that of students. It was wonderful to see their eyes light up when they saw a story they liked, their animated discussions when they had something to share, and the smiles on their faces as they spoke about their students and classrooms. In the next session, we began exploring how the content on StoryWeaver could best be used in the classrooms to improve learning, increase engagement, and create joyful learning spaces. Through my journey as a teacher, I had often found myself underwhelmed and overwhelmed at the same time - underwhelmed by the lack of contextual reading material for my students, and overwhelmed by the work there was to be done to bridge that gap. Even on StoryWeaver, I could see how a new user could be overwhelmed at the prospect of browsing through over 11,000+ stories. Through our workshops, we’re trying to understand what exactly teachers are looking for and to make that process faster and easier. Many of our features such as Lists - a section on StoryWeaver which has curated sets of stories, categories, and themes such as Lifeskills, Humour, and more, have come about as a result of our interaction with the educator community. Another challenge that most teachers face is handling the different reading proficiency levels in the same classroom. One of the participants from Parikrama shared how her guiding principle through 11 years of teaching has always been to not leave a single child behind in her classroom and to ensure that she does whatever it takes to cater to every child’s unique needs. Participants agreed that the Re-level feature on StoryWeaver is a great way to differentiate instruction in the classroom using different versions of the same story, so children at the same cognitive level but different reading ability levels are still able to enjoy the same story. As we explored the different categories and themes on StoryWeaver, it was heartwarming to see how educators were looking for resources to raise more sensitive children and create inclusive learning spaces. One of our participants shared how fun stories like the GIF story, Gappu Can’t Dance, can be used to discuss difficult topics like bullying, and also to touch upon diversity and acceptance in the classroom and beyond. Another participant shared how stories like Angry Akku could help integrate aspects of Social Emotional Learning into the curriculum. Another aspect that really shone through was how participants come up with cross-disciplinary use cases for the same stories. So, for example, the story, When Will Amma Be Back, could be used to integrate concepts as diverse as reading time, numbers, and even grammar concepts like verbs. Participants working with young children remarked how the Readalong feature could be a great way to build reading fluency while also teaching more advanced concepts like punctuation, intonation, and reading with expression. Once the participants began working on their own stories, the space was buzzing with ideas, suggestions, and questions. As they created their own stories and translated existing ones, they debated the choice of words and their reasons for why a certain word should or should not be used. For us at StoryWeaver, these sessions are enormously helpful as the educator lens has been critical to developing and guiding some of the most popular StoryWeaver features. By the end of this session, as participants shared their stories and saw their published stories show up on ‘New Arrivals’, we knew this had been an afternoon well spent for all of us. All through the day’s session, I couldn’t help but notice how big a role stories play in our lives. As the academic year comes to a close, we would like to thank all our wonderful participants for making these workshops an amazing learning experience for us and more importantly, for helping us take the magic of stories to children across the country. 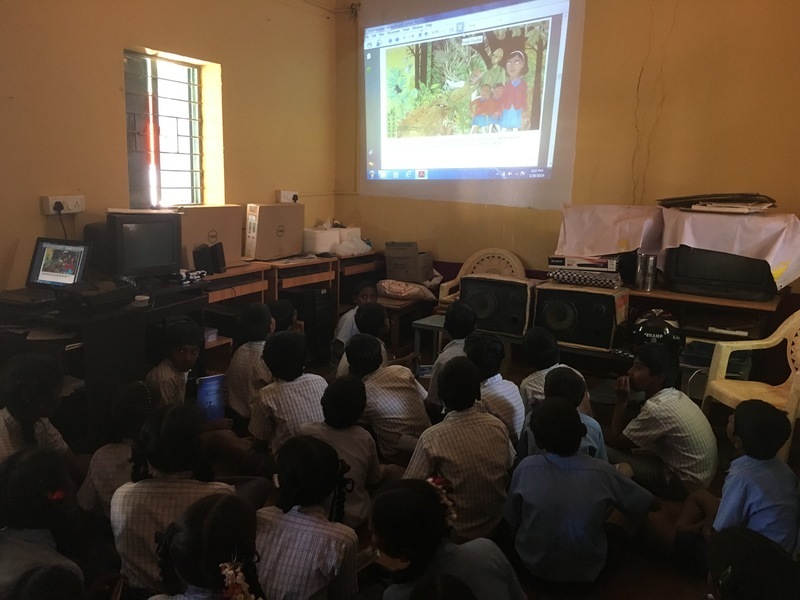 Suganya, from the Partnerships team, takes us on a journey to Tumkur where India Literacy Project is implementing a Multi-Dimensional Learning Spaces program with the government schools. The two-hour ride to Tumkur through traffic and on roads under-construction had taken a toll on our energy levels. But meeting children filled with enthusiasm for the read-aloud instantly put a smile back on our faces. We were greeted by Latha, an India Literacy Project (ILP) Facilitator. She has been instrumental in implementing StoryWeaver content as a part of their Multi Dimensional Learning Space (MDLS) programme. Over 16 facilitators who work across 30 schools in Tumkur, Karnataka, identify schools in need, coordinate with partner organisations and develop a programme to help children not only with academics but also overall personality development. They provide schools with digital infrastructure, reading material and teacher guides, and also help them implement the programme in the classroom. Children were excited to get started with the read-aloud session. They had picked Smile Please for this. One of the children volunteered to read the story, and the others joined in. Whenever she had difficulty with a sentence or the pronunciation of a word, the class teacher and the ILP facilitator chipped in to help her out. We were awed by the children’s enthusiasm and decided to do an impromptu reading session for them. One of our team members stepped in and interacted with the children in Kannada, doing another reading. It was way past the children’s lunch time, but they wanted their fill of stories first. While the students were getting ready to enjoy their mid-day meal, we bid goodbye and continued our journey to visit more children. Once we reached the next school, we met with the headmaster and the ILP facilitator, Tejaswini. Teachers there have found it easier to introduce science and mathematics concepts using our STEM books. Children operate the computer and the projector during their free time to read stories on their own. Without further ado, we began another read-aloud session with the children. This time, children had decided on Welcome to the Forest. Children enjoyed the narrative and also gained insights about the forest and animals that call it home. We asked the children, “What is your favourite book and which story do you enjoy reading aloud in class?”. We were happy to hear varied responses, but Dum Dum-a-Dum Biryani! turned out to be everyone’s favorite. We were glad to see the children read and relate to the characters portrayed in our books. We believe that an incredible future awaits the children. With partners like ILP, we get that much closer to making our vision a reality. We are delighted to share that Pratham Books’ StoryWeaver has been selected as a finalist for the WISE Awards 2018. 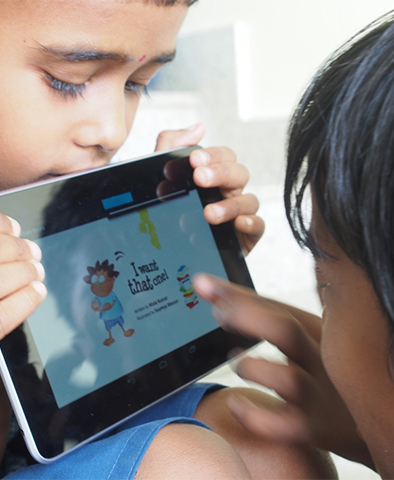 StoryWeaver is an innovative digital platform which harnesses the power of technology, open licensing and collaboration to address the global scarcity of books for children in mother tongue languages. StoryWeaver also allows for content to be translated and versioned for localized needs. This responsive platform has published over 7500 story books available in 109 languages, making knowledge accessible to children and educators beyond global access barriers. Suzanne Singh, Chairperson of Pratham Books, said StoryWeaver’svision is to massively scale the creation and distribution of reading resources for children in mother tongue languages. Our endeavor is to address the global scarcity of books for children and arm every child with the power of knowledge and opportunity. By providing access to thousands of storybooks, the platform has enabled educators to make classrooms more engaging, libraries more diverse and most importantly, make learning fun for children. 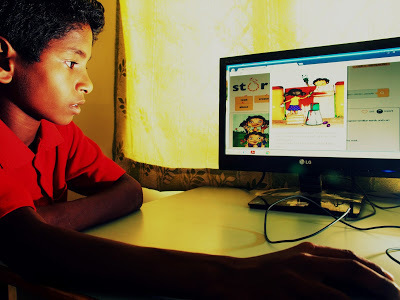 With StoryWeaver, we have opened up a new pathway to nurture a generation of readers”. Stavros N. Yiannouka, CEO of WISE, said: “We congratulate StoryWeaver for making it to the finalist stage. Each of the 2018 WISE Awards finalists has constructed an effective, tested solution to a global educational challenge. Whether it’s ensuring fundamental education for refugees or creating the next generation of empathetic and conscious leaders, each project is already transforming lives, and provides an inspirational model for others to adopt. This is vital to our mission at WISE, which centers around collaboration”. The 12 projects come from eleven countries and were shortlisted for their innovative solutions to education challenges and their positive social impact. The awards finalists were picked from a pool of 413 projects, and evaluated according to strict criteria. They must be successful, innovative education projects that have already demonstrated a transformative impact on individuals, communities, and society. They must be financially stable, have a clear development plan and be scalable and replicable. For further information, visit http://www.wise-qatar.org/wise- awards.